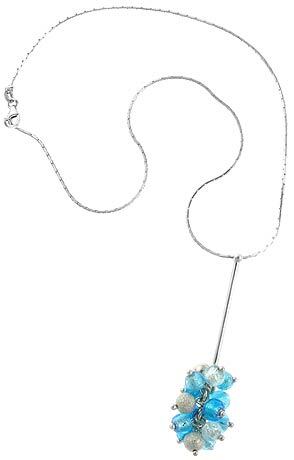 A mix of silver foil beads and balls dangle on the end of this 16 inch sterling silver chain. This Venetian bead necklace is also available in herb green. Made in Italy.